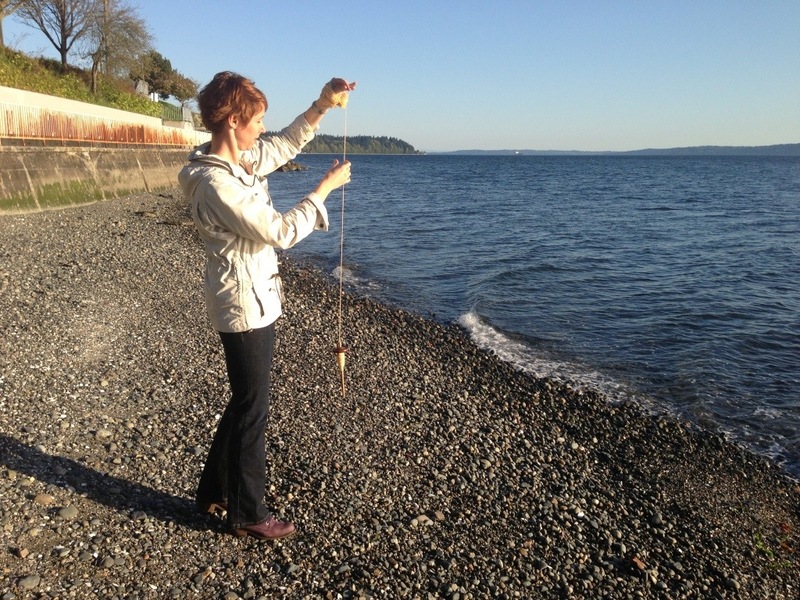 Today’s post is largely inspired by this post on one of my favorite blogs “Suzy Sells Sea Shells.” After reading her post, I found myself thinking more and more about how amazing it is to slow down and enjoy the process of what we do in our fibery worlds. The last batch of fiber I processed caused me to think through this very thing, because I realized I was trying to rush the process. Small moments of truth came to light. If I rush this, I might not get all the dirt out..gritty yarn, not so great! If I am impatient, I might not get the lanolin out..stiff, sticky fiber? Tough to draft.. If I hurry, it might felt..shame to have the sheep give up his coat in vain! Less tension…need I say more? I love the transformation process and the fact that I am knitting a beautiful hat from lamb’s locks. I’ll leave you with these pix of my peaceful journey. What’s your Fiber Friday moment? 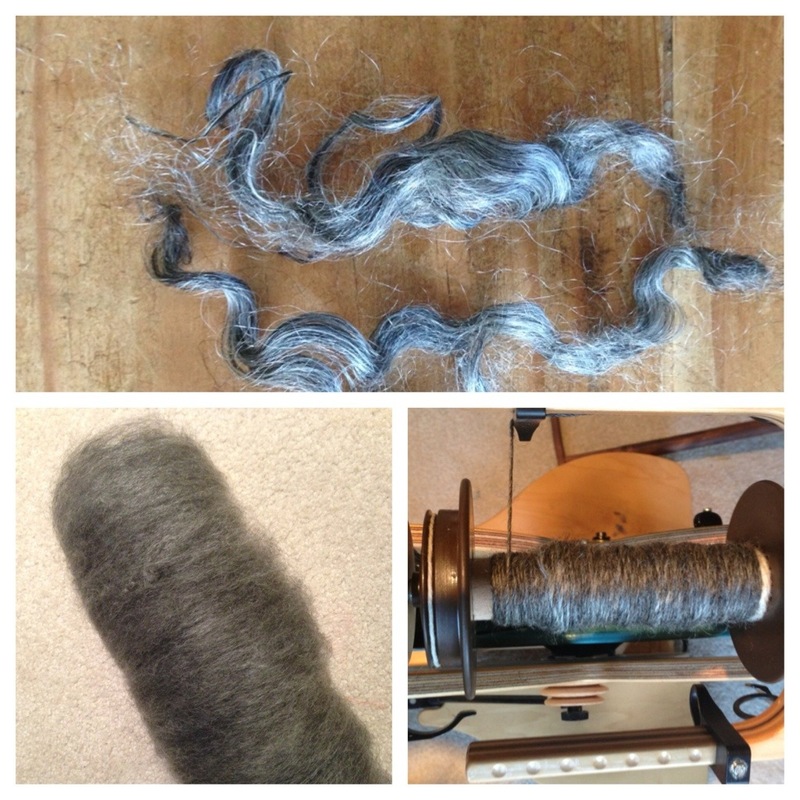 This entry was posted in Fiber Friday, Fleece Processing, Spinning, Spinning in Public and tagged drum carder, fiber preparation, knitting, raw fleece, Spinning by Leah. Bookmark the permalink. Pretty similar actually. I’ve been handcarding fiber all afternoon until my arms hurt, I only managed half the amount I thought I’d do but the result is much better that the first batch that I carded during the week and spun yesterday (with lumps in it). And that lambswool looks delicious. Thank you!! It’s pretty scrumptious..